Come spend the Fourth of July at the Eagle-Vail Pool! 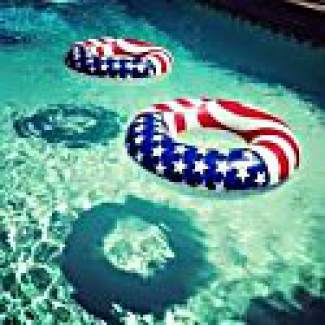 The Independence Day Pool Party will be an afternoon of contests, games and fun for the whole family including a whipped cream pie eating contest. There will be a costume contest as well, so be sure to dress in those reds, whites and blues. A small contest entry fee may apply and will benefit the Eagle-Vail Diving Dolphin Swim Team. Independence Day snacks and treats will be for sale. Entry into the pool during the party is $5 per person. Kids 3 and younger are free. Be sure to stick around for the Moonlight Swim from 8 to 10 p.m. (also a $5 entry).